Originally posted on UGA Public Service & Outreach News on February 28, 2019. It was at the reunion of the Moultrie Senior High Class of 1961 that Pete Sayeski, John Tucker and John Carlton began to discuss a way to make a meaningful contribution to the community that provided support and nurtured them during their formative years. Sayeski, who moved to Moultrie when he was 8, was always amazed that county residents who had difficulty pronouncing his last name would welcome him as one of their own. “What was engrained in me is that people in Colquitt County take care of each other,” said Sayeski, who graduated from UGA in 1965 with a bachelor’s degree in economics and went on to a successful career in Educational Publishing at The McGraw-Hill Companies, Inc.
Sayeski and childhood friends founded the Moultrie-Colquitt County Alumni Scholarship Fund, designated for an academically talented student from Colquitt County High School. Using a dollar-for-dollar match from the UGA Foundation, the group has raised $800,000 for Georgia Commitment Scholarships for students to attend the University of Georgia. The money will allow the UGA Foundation to award $7,000 annually for up to four years ($28,000) to a student from Colquitt County High School every year in perpetuity. The scholarship makes a UGA degree a possibility for a qualified Colquitt County High School graduate who otherwise could not afford to attend the university. “Colquitt County has had a long history of unparalleled success in supporting its community institutions,” said Jimmy Jeter, a local businessman who contributed to the scholarship fund in honor of his daughters. Jeter said he recognized the need for a local scholarship when he learned that students who have the federal Pell Grant and the HOPE Scholarship still fell short of the cost of attendance each year. About 23 percent of students at UGA have the Pell Grant, which is awarded to students who face the greatest financial need. “These students are going to need all of the help they can possibly get,” Jeter said. Another Colquitt County native who contributed to the scholarships is Patrick Mobley. Two of Mobley’s children are UGA graduates and his father held a UGA degree in agricultural engineering. Colquitt County began building a strong relationship with UGA Public Service and Outreach in 2005, when it was selected to pilot the Archway Partnership program, designed to take the resources of the university into Georgia communities to address self-identified issues critical to their economic development. 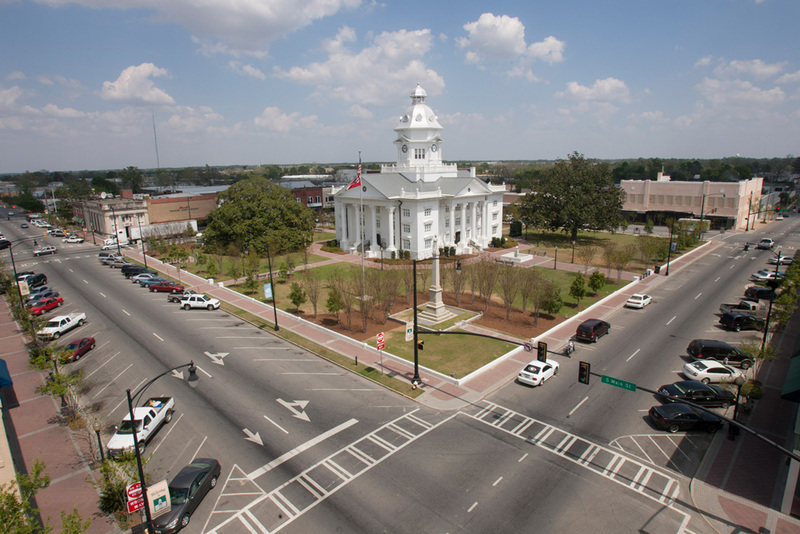 Over the past 14 years, UGA faculty members and students have helped Colquitt County with zoning, infrastructure improvements, K-12 education and leadership programs that have contributed to the economic wealth of the community. The Georgia Commitment Scholarship Program was unveiled in 2017 with the goal of increasing the number of need-based scholarships at the University of Georgia. Through the program, the UGA Foundation will match any gift to the university in the amount of $50,000, $75,000 or $100,000 to establish an endowed need-based scholarship. More than 360 new need-based scholarships have been established through the Georgia Commitment Scholarship Program, and UGA is on pace to reach its goal of 400 new scholarships by June 30, 2019. “With these scholarships, the community has launched a new partnership with the University of Georgia that will benefit our students from Colquitt County,” Jeter said.